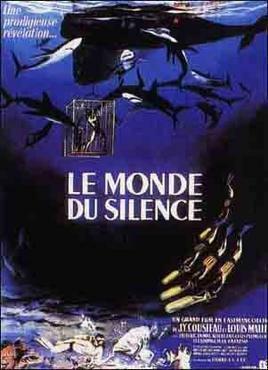 Jacques-Yves Cousteau and assistant director Louis Malle, a young filmmaker of 23, shot The Silent World in 1956. It is one of the first films to use underwater cinematography to show the ocean depths in color. The movie received an Academy Award for Best Documentary Feature and the Palme d’Or award at the Cannes Film Festival on the same year.